Started the run a bit late so it was cooler than expected out. Still warm nonetheless and I really felt I was ready to run today. I think I’ve been able to assess my body pretty well as far a capabilities of the day. It felt as if I could push myself pass 5 miles. That led me to running the trail and making loops around the path. It’s humorous when people see you for the second and third time still running. They give you this look like of interest to why you are running so much or is this the same person that just ran past me. Verbalizing those exact words at times. At about 6 miles I decided to cool off in the water for a quick rinse. 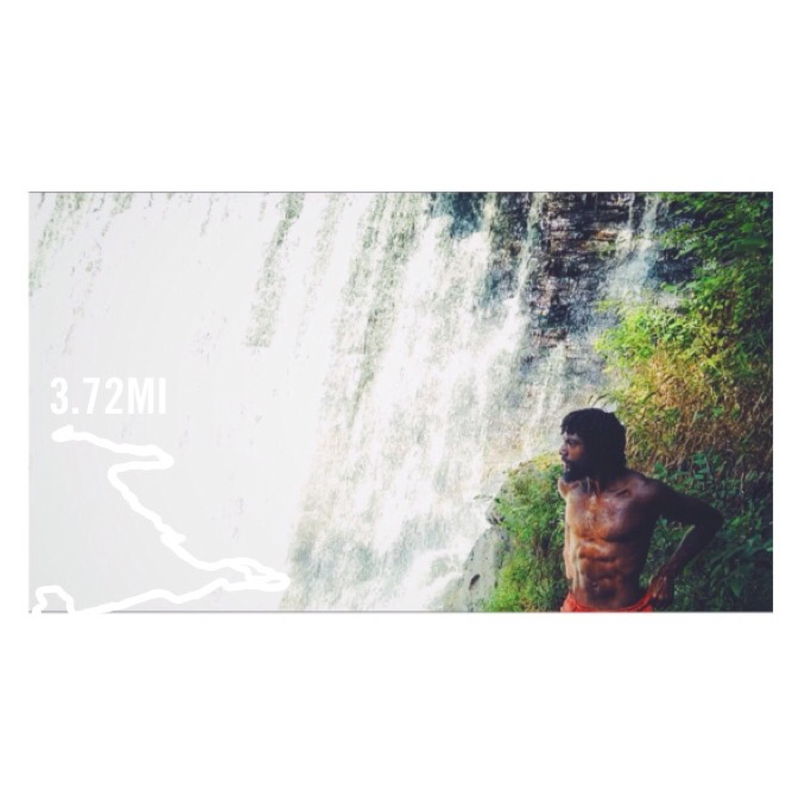 I haven’t been doing yoga in between runs at the waterfall like I started doing in the earlier days of this challenge. It’s been so many folks there that I’d rather just people watch and water listen. There is a group on Facebook that I’m in (Nike+) Run group. Those runners are definitely motivation. Some people are on 100+ Day streaks which I commend and has helped me realize I am not a streak runner. 😂 Running every single day is not my thing I definitely appreciate days off so I can collect myself, keep on weight and have energy for the longer distance (15+) mile runs. Today my legs were feeling tight. As soon as I began running I realized the back of my thighs weren’t ready. Still cold for some reason but I knew once I started going they would loosen up. The only issue with that was today I planned to aim for more speed initially. The back of my thighs were not quite ready for that, giving me more resistance to the mission. Took of running and found myself doing a 10 second walk break as soon as I made to that blasted Uphill section 😂 The motivation music provided did help me push through and keep those walk sections under 10 seconds. I managed to make a mile at 8:22 Not bad but i think and would like to get that down to 6-7 without gasping for air as soon as I hit the uphill section (1.3 miles) The extra speed agenda definitely took away the casualness I like to feel during these runs. The challenge made the waterfall feel so much better. The harder you run the greater the reward. I may need to contact Adidas for a visual exchange or something. I’ll make a few promo videos for them even though they are sold out every where I look. 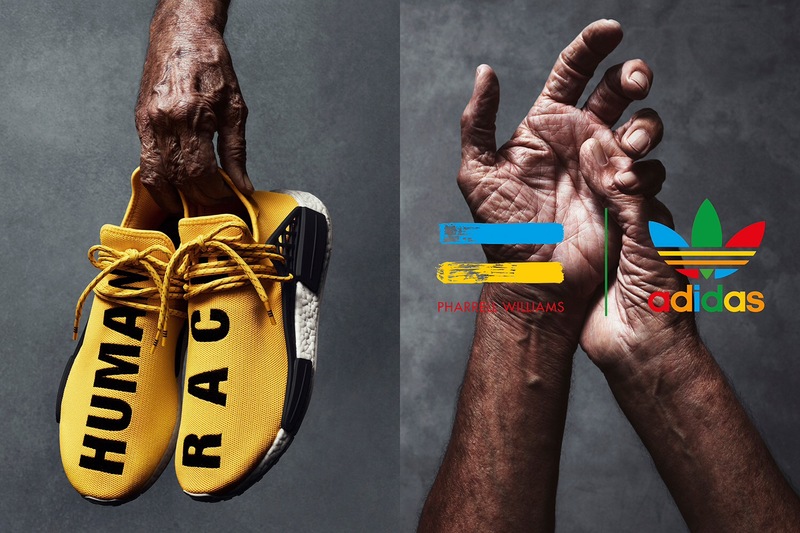 Just send 10 pairs and pick 10 runners and I’ll make something great that represents the Human Race! 11:00 pm Still have not made it around to running and I don’t think I’ll be doing any late night sprints. Today was slightly busy but I did get a nice workout in! I’m thinking about making up for it with some double digits tomorrow! Today, I wasn’t too sure if I wanted to run. With that being said I decided to run a little later in the day. Im used to running in the hottest part of the day so it was different running without the intensity of the heat. I actually feel like the heat helps me run better. Being cool felt like it was holding me back or I wasn’t loosening up as fast as I normally would. Running was the second priority, I really was going out to take photos along the path for a potential photoshoot so that helped me get going and out of the house. Looking for locations also helped me get an extra 2 miles in on the run unexpectedly. Soo… I think i’m getting the downtown run itch again. I really wanted to check out the Blue Heron Reserve (10 Miles one way) that I passed by. Calculating how many waters and bananas I will be picking up along the way to make sure I have everything covered this time. Yeah I think running to the reserve and back will be the plan. I can get a quick breather at the reserve check out some of the Blue Heron and this way I can just run back home and to the waterfall for a well deserved cool down! Thinking of what music I should load up on before I go, Major Key has been pretty cool I only bump the first 5 tracks. Thinking of listening to Sun Ra to get the wheels turning and save some of the energetic songs for the run back. Going over my Pre run checklist ..
sunny outside just how I like it. The stops/gas stations I was going to get water from were pre selected based on the first downtown run I made. I only planned on grabbing drinks 3 times. I pushed much further than I did the first time without pausing I would say about 6 miles in before taking a short walk breather and allowing my body to process the water I was sipping. at about 8 miles I had to grab something with sugar. I can tell when I need a boost so I picked up some coconut water, vitamin water, water water, and mango juice! This kept me alive and I continued to pace myself as I sipped. Around the 9 mile mark it began to ran and I was very thankful. I needed to cool down a little and I never knew how great running in the rain felt until that point. It seemed to revitalize me! The intention was to run to the Blue Heron Reserve but some how I either missed it or it was further than I thought either way the goal was to run 10 miles so when I heard 10 miles I began to run back. I wanted to stop at the reserve to rest a little but things change so I just kept pushing back. At this point i’m on auto pilot and wondering how in the world will I make it back. I started to think to myself It would of been easier for me to continue running downtown and take the train back… doubt was kicking in but I quickly kicked it out. Fast forward As I approached 19 miles the only thing keeping me going was hearing my Iphone finally say 20 miles…. I chanted to myself ( and out loud) cmon I know Im close.. say 20!!! and about 40 seconds later I heard it … 20 miles completed! Threw my hands up in the air and kept running! Soon after I just walked because my legs were giving in. I thought about going to the waterfall but the rainfall was enough for me to feel satisfied! After I made it in I had to run drive out for coconuts mangoes pasta and pizza! It didn’t feel like 5 hours had passed, I was surprised to see what time it was. Today Im going for 50 … just kidding more like 5. My sleep has been great lately. It is almost like I go into small comas when I doze off. As I was dozing off I had a dream that I was running still and my leg kicked up and hit the window. This made me laugh and turn in the opposite direction so that wouldn’t happen again. Id hate to get hurt while dream running ha. Hand washing my shorts everyday is becoming tedious but I feel like it is a necessary ritual. The time it takes to dry gives me time to get in a warm up yoga session. Fast forward …. I decided to rest but had a universal coincidence led to nice workout session! I definitely can feel progress as these runs are becoming easier to me. Ive taken some time to read up on what would be a good diet to maintain these runs and it seems like what I have been eating is the same as what most sites recommend. Steady increase of carbohydrates and starches. My normal diet consist of just that! Rice, Pasta, Potatoes Fruits and Vegetables! to keep it simple. So it seems like I was on the right path from the jump. Ive been drinking lots of liquids. Coconut water/milk is the main intake. After I ran the 17 miles I noticed my overall weight definitely was less. I don’t weigh myself on scales but I have a pretty accurate feel for where I am being I usually don’t go below 145 or above 160. Either way the waterfall was calling so I made an effort and ran my way over to the runners seat after some yoga! Im thinking of preparing for another downtown run next week. This session I want to see if I can complete the 17 miles within 3 hours. Being prepared with the right nutrition was one thing I didn’t have planned out so I want to see the difference it will make with proper preparation. I think I have the mental will down pact to make these runs. The mind can definitely push you pass the limits of the body but the body does have limit. if you can get to the breaking point to find out what that limit is.. all the better for knowing. I remember playing basketball one day in the summer heat and my leg completely stopped working. I just couldn’t move it, I literally was stuck standing under the rim with a semi-paralyzed leg as everyone continued running up the court. From that day I learned when the body is done you will know because it will just stop working. You wont even have enough energy to process pain it will just stop working. Sipping some peanut punch, and preparing to run. Ive been thinking about time lately and how fast I can be with these runs but I just enjoy running right now so I haven’t really taken hitting time limits into consideration quite yet. 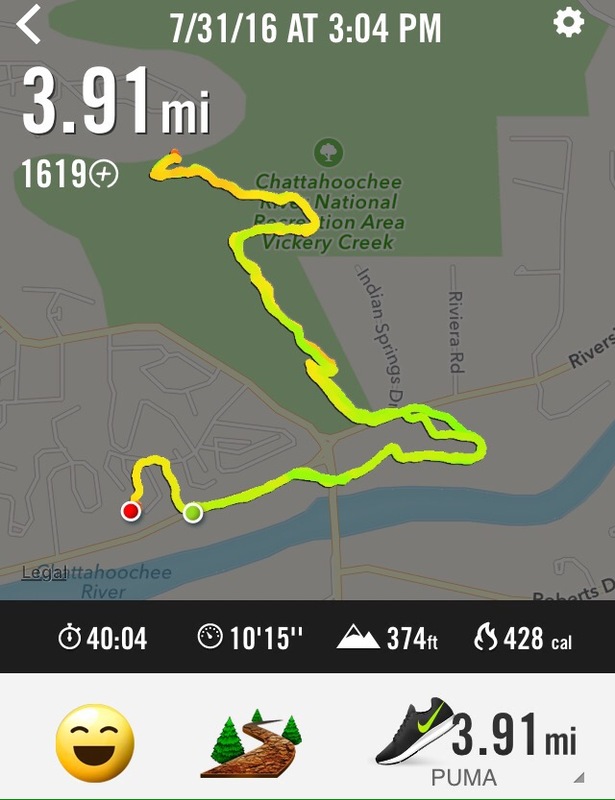 Im downloading the Nike Run App to keep track of some of the progress ive been making. That felt good. Took a quick stop at the waterfall as usual. It’s the weekend so it was packed with people as I expected. Had to step over a few people to get to my spot and let the water run over me. Usually I do some yoga before jet setting but I couldn’t really find a spot that I liked. People kept asking me to take their photo like I’m some photographer or something ugh lol. Either way I made it back and it’s time to down some smoothies and delicious vegetables. 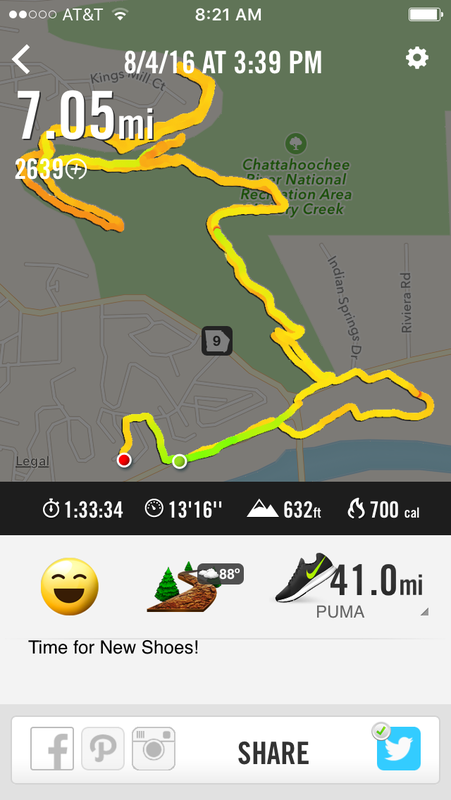 I actually like this Nike app even though I run in Pumas… Keeps track of just about everything you would want it to. I even can check out some stats from a few of my Facebook people. Until next time run it! Add me if you use the app!